. During the ABC radio program teen education expert Dannielle Miller said the bot took on a “predatory and creepy feel” and its interaction was “grooming behaviour”. "You're chatting to someone online that you don't know and they keep pushing your boundaries and assuming this level of intimacy with you that they don't yet have," she said. She said the bot made light of brand online behaviour and sends the wrong message. The pineapple even gives you an option to say 'I'm uncomfortable’, but that doesn't always stop it from continuing to make advances. Bots use artificial intelligence to interact with consumers, which means its responses vary from person to person, depending on what is said - making it very hard to police. Boost head of digital Christian McGilloway defended the chatbot on Hack. He said the bots’ responses are based on how risqué it’s proven to be in the initial matchmaking phase. While more brands are getting on board with bots, McGilloway said it’s a new technology, therefore there is always going to be glitches. He also addressed concerns that the bot can be accessed by minors, adding Boost has made sure it’s only interacting with people 18 and over. "With the bot in its last week, we will definitely be reviewing the entire campaign taking all feedback into consideration," he tells AdNews. Boost marketing director Jodi Murray-Freedman said the bold bot aligns with Boost’s brand and the marketing campaign has been a hit. "We knew we would be pushing the boundaries. We're always going to push the boundaries that's the nature of our brand,” she said. Chatbots are being hailed the holy grail for brands with the users of messenger services growing exponentially. Facebook Messenger just cracked 1.2 billion users globally and WhatsApp boasts a 160 million people on its platform. While the technology is still in its infancy, it’s being quickly embraced by brands like Qantas and Domain. 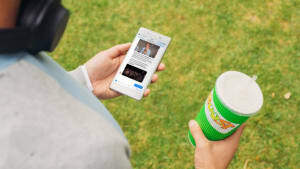 But the latest example from Boost Juice shows there could be problems with brands moving into one-to-one conversation with consumers. Unlike in the past where advertising and marketing is be policed by a watchdog, like the Australian Standards Bureau, these personalised interactions happen in a private space. Like targeted advertising on social media, it’s almost impossible to monitor how brands interact with an individual. With chatbots, it becomes even tricker, with each conversation varying from user to user as they use artificial intelligence (AI) and machine learning. The dangers of AI and machine learning in chatbots reared its head last year when Microsoft launched its bot, Tay. It was quickly shut down due to concerns with its inability to recognise when it was making offensive or racist statements. As early adopters make moves in this space, there will be more mistakes and stumbles and the need for a way to police chatbots will surely become a focus as more brands take risks. Boost Juice has refuted claims its Facebook Messenger chatbot normalises predatory behaviour and its “grooming” bad behaviour in young people. The chatbot is aimed at 18-24 year olds and it tries to persuade them to play a dating game built to replicate Tinder interactions. In just three weeks it has had more than 110,000 unique users. When you opt to talk with the brand’s chatbot on Facebook Messenger, it introduces you to "four eligible pieces of fruit" and plays matchmaker. The chat varies for different fruit, with the banana being the flirtiest fruit in the game. The bot offers discounts of Boost products in return for banter. The bot was the subject of Triple J’s Hack program last week. 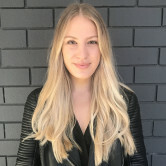 During the ABC radio program teen education expert Dannielle Miller said the bot took on a “predatory and creepy feel” and its interaction was “grooming behaviour”.